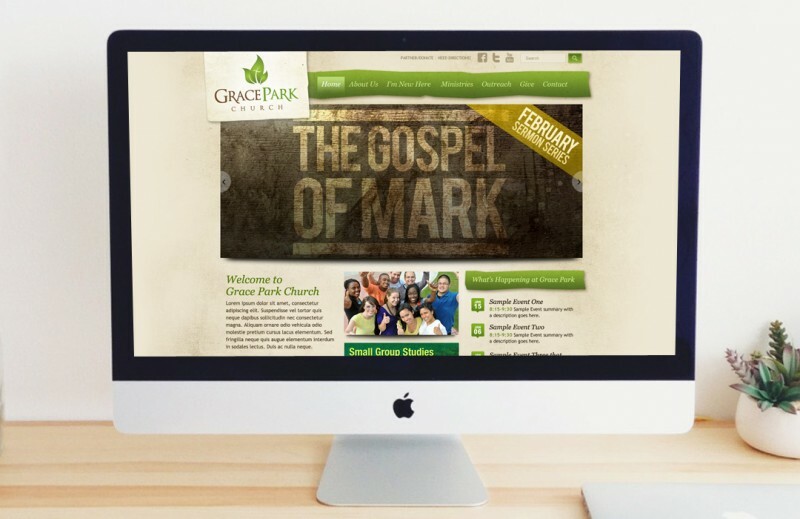 Grace Park approached SMD with the mission of creating a new, exciting mark for their new inner city church plant. The end result was a combination of earth elements and spiritual themes laid out in the Bible. The three leaves represent growth (physical church growth and spiritual growth) and the single cross that represents the cross of Jesus. Overall, the new logo gives off an inviting, meaningful vibe that is attractive to new and current church members. Grace Park Church is a new church that is being planted in the city of Durham. Committed to following Jesus, they desire to be a visible church, living and powerful, reaching out and impacting the community; reaching the homeless and imprisoned, impacting the youth, strengthening families and encouraging healthy marriages.